NOTICE: Activation key must be used on a valid Steam account, requires internet connection. 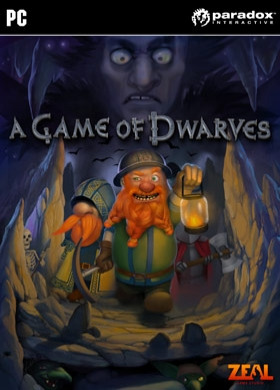 ABOUT THE GAME : A Game of Dwarves (DLC)Bring more happiness to the Dwarves daily lives. What is a Dwarf without any beer?The Ale-pack provides your settlements with the legendary Ale Tree and Mead Barrel. Never again will your Dwarves need to brave the deep underground with dry throats.Mmmm, aaaale.The Ale… -pack includes the following objects:-The Ale TreeThis crop is a Dwarven legend and proof of their ingenious ideas of extracting Ale directly from certain trees. Having a Worker extracting Ale from the Ale Tree provides the Settlement with Happiness, making everyone happy. It can be found in the Special Crops-category where it only waits to be built.-The Mead BarrelWhat is the second best next to drinking Mead? Having it stand around in Barrels of course! Having a couple of Mead Barrels as decorations is a great way to increase your happiness. Build them from the Mixed Decorations-category and give your Dwarves a proper dwarven settlement.NOTICE: Activation key must be used on a valid Steam account. Requires internet connection.ABOUT THE GAME : A Game of DwarvesA Dwarven Prince on a quest to reclaim his people’s stolen land will take you on a great journey. Explore a continent filled with buried treasures and unearth mysteries that have laid hidden since the Great War. Take charge of your Dwarven settlement while mining, exploring and utilizing your resources with a combination of strategy and management.Order the inhabitants of a Dwarven settlement to dig, build and conduct research in order to strengthen the clan. Be careful though because you must defend your Dwarves from the terrible beasts that lie in the depths. A unique world is generated each time a new level starts, so you will need to dynamically adapt your strategies and tactics during each session.As you advance, the Dwarves will level up and gain new skills; progressing from weak dwarvlings to near immortal warriors or master craftsmen. There are also rare resources to be found deeper in the earth that grant access to better buildings and equipment. However, the deeper you dig the more dangerous foes you might unleash…KEY FEATURES Explore – The randomly generated maps offer replayability while also providing a sense of exploration Build – customize your settlement with not only practical constructions, but beautiful ones too! Build objects you think look great, while still gaining progress. Home is where the art is. Command – With an intuitive order system the player can easily control oodles of dwarves simultaneously without the need for extensive micro management A 13 level, story driven campaign. Custom game mode: want a world without enemies so you can build uninterrupted? Or lots of them to up the challenge? SYSTEM REQUIREMENTS Windows Vista/ Windows 7 Dual Core 2.4 GHz processor 4 GB RAM, 3 GB HD space Shader Model 4.0 compatible card (minimum Nvidia GeForce 8000 AMD Radeon 2000) DirectX compatible sound card DirectX® 10. Broadband internet connection (Steam) 3 button mouse, keyboard and speakers. Single player © 2012 Paradox Interactive™. Trademarks belong to their respective owners. All rights reserved.